Tsim Sha Tsui area is usually our first choice of location when booking a hotel in Hongkong. For our recent trip though, all our preferences (Hotel Benito, The Imperial Hotel, Nathan Hotel or BP International) were way out of budget so we decided to check out other areas in Kowloon. One research after another led us to Dorsett Mongkok Hotel, formerly known as Cosmo Hotel Mongkok. 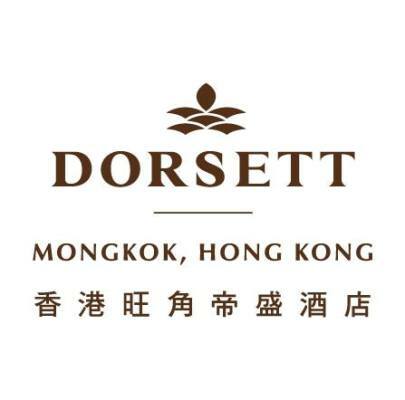 Surrounded by various shops, restaurants, money exchange and supermarkets, Dorsett Mongkok's convenient location is a major draw for tourists traveling to Hongkong. Check-in was a breeze but we had to wait for the room to be available since my flight arrived early. Instead of waiting in the hotel lobby like most guests, we crossed the road and found a branch of Wellcome Supermarket with a crazy sale of fresh cherries and strawberries! After and hour and with a bag full of groceries, we went back to Dorsett where the key card was handed to us even before the 2pm standard check in time. Months before our arrival, I already sent an email to the hotel with a request of a room on the higher floors as recommended by people who already stayed in Dorsett because of its proximity to the main road, which they granted as promised. Our Room Comfort (cheapest room they offer) is an 18-sqm thoughtfully designed space with a comfortable queen bed, free in-room wifi, iPod-docking station, wall-mounted LED television, a mini bar with coffee and tea making facility, an in-room safe and complimentary use of a smart phone with free 3G internet and local and IDD calls Australia, Canada, China, Japan, Korea, Malaysia, Singapore, UK and US, that you can also take outside. The smart phone was very useful in checking out the best routes to our destination and keeping in touch with the family back home. The Olympic Station is the nearest MTR from the hotel (4-minute walk) but Dorsett offers a very convenient and complimentary shuttle service to its guests to three major points within the city that leaves every hour. The first stop at Langham Place is where we get off to start our adventure and where we head to after a long day of walking, shopping and eating out.